A popular drink in South India, Masala Milk is a nourishing drink for kids and adults. 1. Soak the almonds in hot water and peel the skin. 2. Combine the almonds, cashew nuts, pistachios with a little milk and grind to a smooth paste. 3. Bring the milk to a boil. Reduce flame to low. 4. Add the ground paste and mix well. 5. Add sugar and stir well until fully dissolved. 6. Add saffron strands and cardamom powder. 7. Switch off the flame and cover with a lid. 8. Serve warm or chilled. 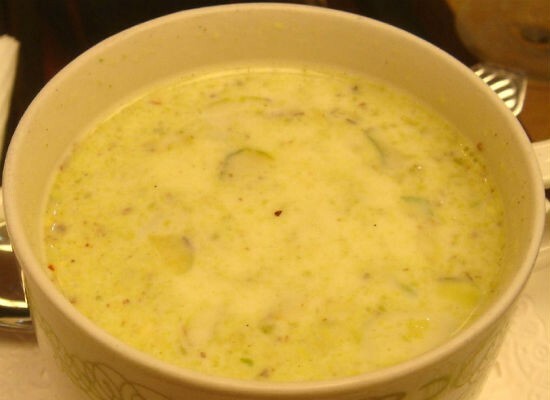 Feel free to comment or share your thoughts on this Masala Milk Recipe from Awesome Cuisine.